There are various towing services in and around Fayetteville, NC so which one are you going to rely on when you have a flat tire? You can depend on the services that many motorists depend on, Fayetteville Towing Company. We offer many preferred Fayetteville NC towing services in town because we show just how much we care about getting you the help that you need by quickly sending you the help you need. If you want quality services at affordable prices, this is what you’ll receive from Fayetteville Towing Company. When you have to rely on a tow truck service, it is usually an unexpected occurrence. This is why it is helpful to know who you can always depend on in the event that you experience something like a flat tire. 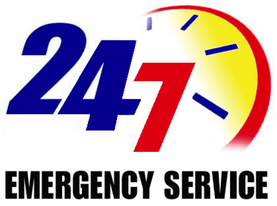 We’re able to provide you with the help that you need any time of the day or night when you experience a flat. Ok so this may sound a little silly but if you don’t want to mess up your clothes, it’s a good idea to give us a call at Fayetteville Towing Company and let us handle this for you. Most people are just riding around in old clothes that they can easily get dirty or risk messing up. This is why we suggest you contact us. If you are in a hurry, you might waste your time trying to get a lug nut off the tire. This can only lead to one thing if you’re unable to get them off, frustration. Rather than frustrating yourself, allow us to change the flat tire for you. We offer services quickly and get you back on the road as soon as possible. If you're vehicle needs to go to a shop then we also provide 24 hour towing Fayetteville NC locals can trust. If you have ever experienced having a flat tire before you already understand the frustration that comes with it. This is why you should try to avoid it if you can. We suggest that you have your tire pressure checked as often as possible. This is actually something that you can do yourself. You should not only inspect the tires on your vehicle but you should also inspect the spare tire to ensure that it is in working condition when you need it. Some of our customers are surprised to look in the back of their vehicle to discover their spar tire has actually rotted and is no longer any good. Always keep a well-inflated spare tire in your vehicle. If you forget to then you can count on our towing company Fayetteville NC visitors always call for help. When you experience a flat, other than contacting us, you should make sure that your car is pulled as far off the road as possible and use reflective triangles to avoid being hit. If you don’t already have an emergency kit, get one right away, it will have all that you need to keep safe while you wait for help to arrive. Even though you can’t always avoid a flat tire, you can be ready when it occurs by knowing exactly who to turn to for the best tow truck service near me. Some past clients of ours have needed junk car removal services in Fayetteville because their old rusty vehicle had four flat tires and was sitting out in a field. We've come across many different problems and can help with them all.